Looking for a drift car that works wonderfully indoors as well as outdoors? 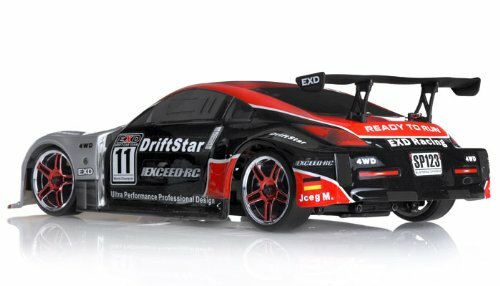 Say hello to the one and only 1/10 2.4 GHz Exceed Drift Star RC Drift Car. This Ready-To-Run awesome drift car is great for beginners as well as those experienced in drift racing. You can use it inside or outside for endless hours of entertainment. If it is a good time you’ve come for, you’ll get exactly what you want to find with this drift car added to your collection. Let’s take a look at this drift car and its many awesome features. The Exceed Drift Star car comes complete with an abundance of features and functions that enhance your play time fun. Children 8 and older will be able to enjoy the realistic looking car day in and day out, thanks to its strong durability and these many features. Here’s what you can expect with the Exceed 1/10 rc drift car. The Exceed Drift Star works on most surfaces so you won’t waste time finding a suitable place to play. The vehicle is lightweight and durable, so cracks and other troubles aren’t something that you will worry over. And, thanks to the long-lasting battery, you never have to worry about the car losing its power as soon as the fun begins. The car provides endless hours of entertainment out of the box. Add a few optional features and accessories and you have a product that you’ll be glad you purchased. The powerful 540 RC brushed motor has that get-up-and-go power that you want and need. The motor is one of the most powerful offered in a drift car that is sold today. There is an upgradable battery and a body that is nearly indestructible. Four-wheel drive is another one of the awesome features enjoyed with this vehicle. Toe-in set-up and a front and rear camber are additional features of this RC car. The drive shaft features anodized aluminum and there’s also high performance front/ rear differentials offered. You will also enjoy the precise steering for the fastest response time, ball bearings and anti-skid drift tires with chrome spoke rims and a pre-mounted drift wheel. 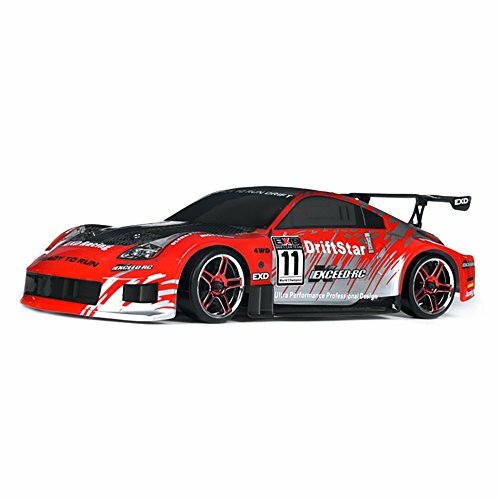 You will find this drift car available in several different colors, including both red and blue. Each color features aluminum shocks, ball bearings for easier driving, and a foam bumper that keeps the car protected from bumps, scrapes and other damages. 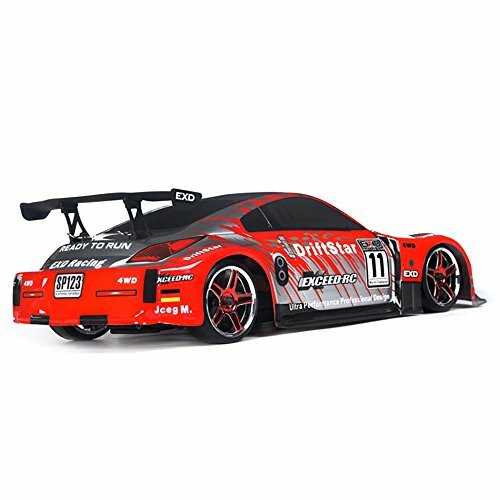 There are a number of optional upgrades offered for this RC car as well. You can add any of these upgrades and additions to create a customized car totally your own. It is easy to create an awesome car that you’ll love for a long time! Once you take this drift car out of the box it is ready for you to use and play. There is an instruction booklet included, so be sure to browse it over to find out how to get the most out of your RC car. Some people do complain that the instruction booklet isn’t as detailed as what it could be; however, this is just a minor setback considering the many wonderful features the vehicle offers. Cost of the drift car you purchase is always a consideration to make. 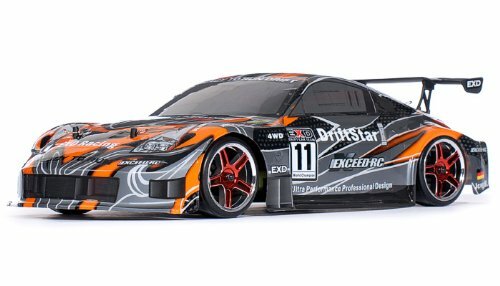 You’ll be glad to know that this drift car is reasonably priced at a cost of $125 – $140, depending upon the location of purchase. In the world of drift cars, this is an amazing price. Many of the cars on the market have price tags well over the $200 mark, so this is an incredible deal without question. The cost of this drift car is definitely one of the biggest highlights, especially when combined with the fact that it offers such fantastic play for hours and hours of fun for children and kids at-heart. The Exceed Drift Star is durable so you can expect to get your money’s worth (and a lot more) from this purchase. Whether you are new to the world of drift car fun or have been doing it for years, this is one car that you will not want to be without. It will rock your world!